Item # 310870 Stash Points: 2,395 (?) This is the number of points you get in The Zumiez Stash for purchasing this item. Stash points are redeemable for exclusive rewards only available to Zumiez Stash members. To redeem your points check out the rewards catalog on thestash.zumiez.com. 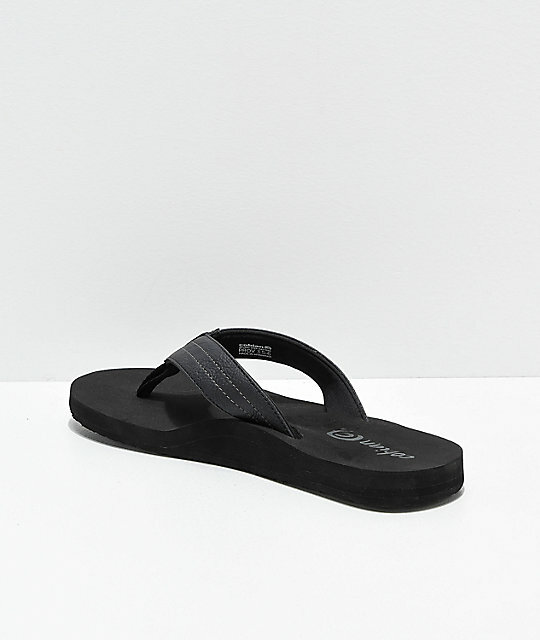 Comfort in every step you take, Cobian presents The Costa Black Sandals. 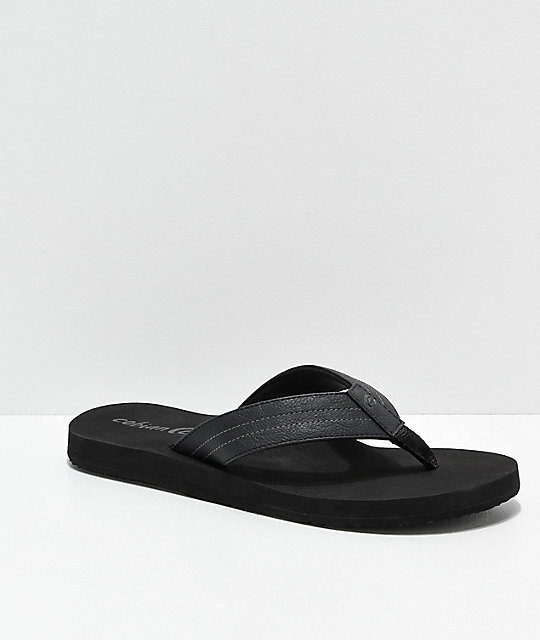 Designed with a classic flip-flop silhouette, The Costa comes made with synthetic leather straps, anatomically molded footbeds and an overall water resistant construction. Perfect for vacation or days spent sunbathing poolside, The Costa is a must have for your warm weather wardrobe. 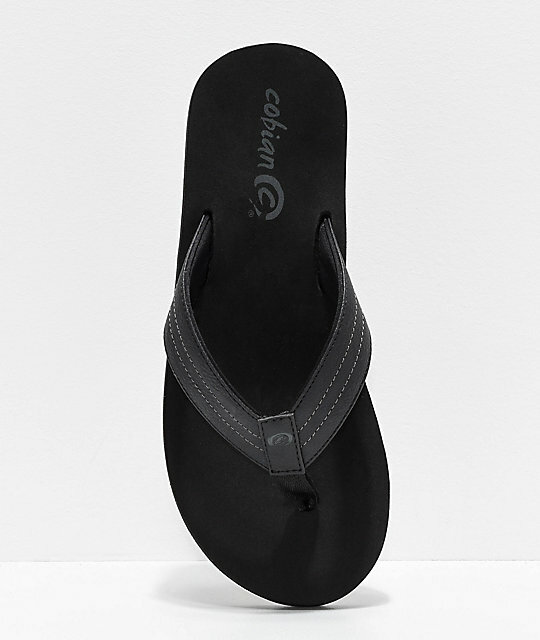 The Costa Black Sandals from Cobian. 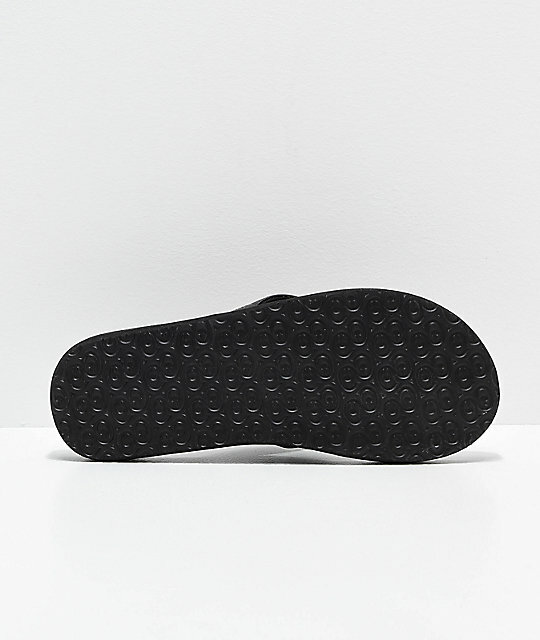 Anatomically, cushioned multi-density footbed with logo script.